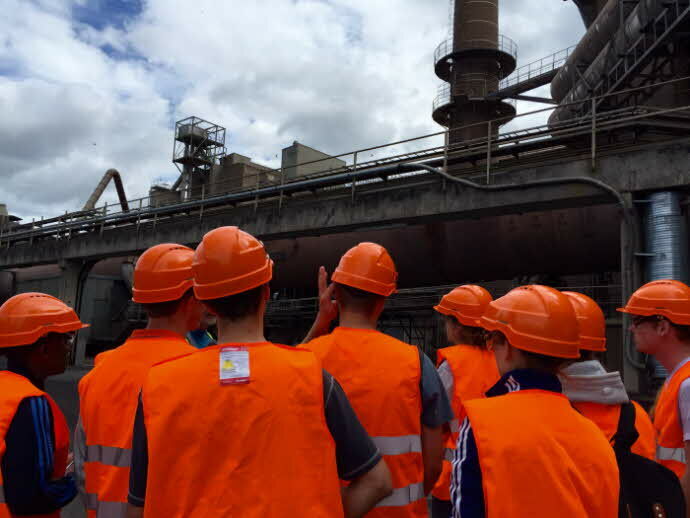 Cement production releases flue gas and with it vast amounts of CO2 to the atmosphere. 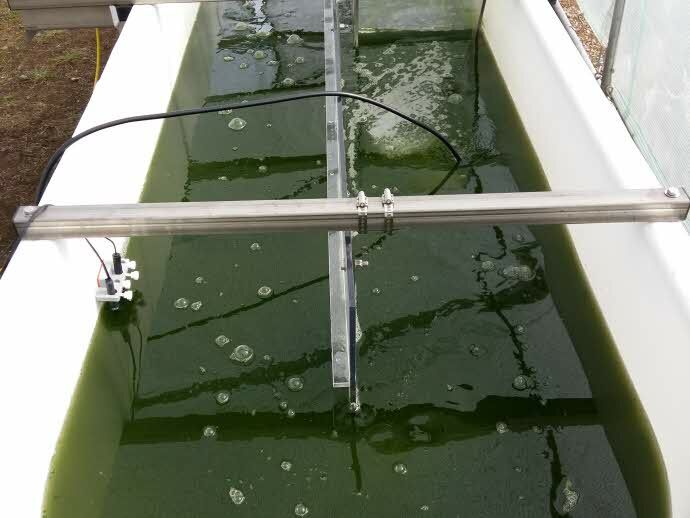 Microalgae can use this flue gas as a CO2 source, and the algal biomass can be used as a resource for bioenergy or high value products. In this project, we examine the potential of using microalge to capture CO2 from flue gas from the cement plant. 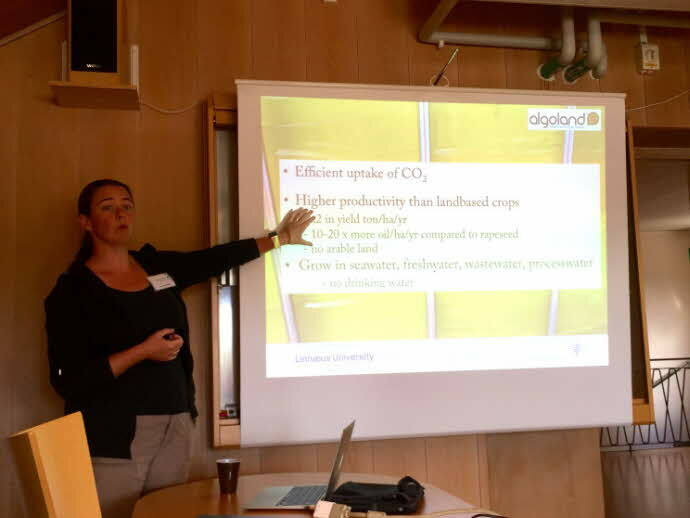 Flue-gas from cement production on Öland provides the rich amounts of CO2 that our microalgae need to grow. Here, the flue gas is led from the factory through a piping system and bubbles into our outdoor algae cultivation photobioreactors. At Moskogen, a landfill in Kalmar, Sweden, nutrient-rich leachate water runs into a reservoir. 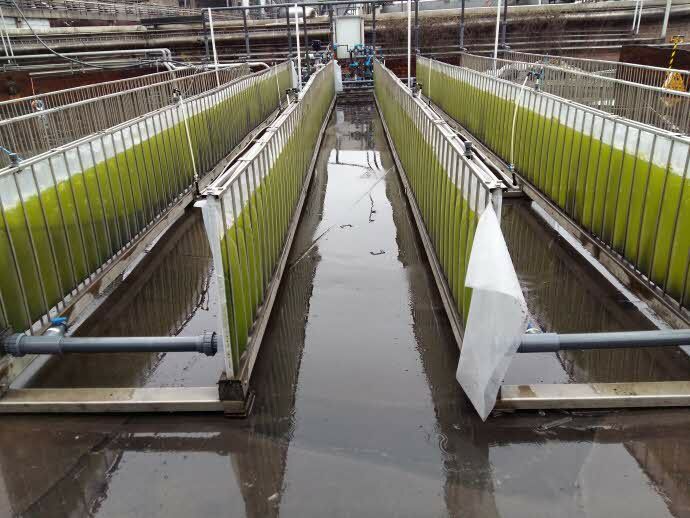 We examine the potential of micro algae to clean nitrogen from the water. 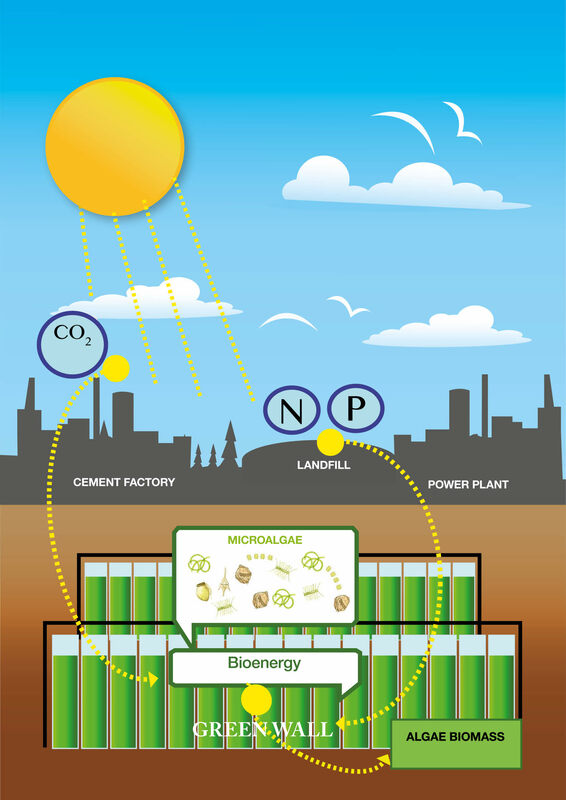 Algal production is supported by the CO2 produced by the KalmarEnergi power plant, also located in Moskogen. Phosphorus is a biproduct of the renewable energy production (wood chips) and is used in the production of algal biomass, which can ultimately be turned into valuable bioproducts. Mussels grow in coastal areas and can act as a nutrient sink in the Baltic Sea with no added resources. 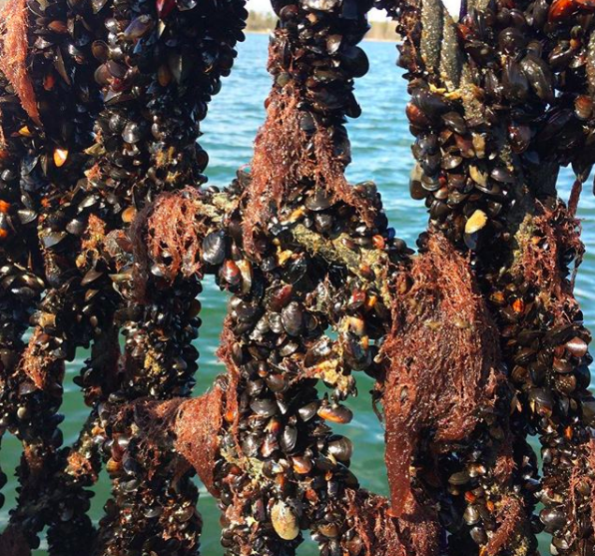 Mussels filter seawater to obtain their natural food of choice: microalgae. 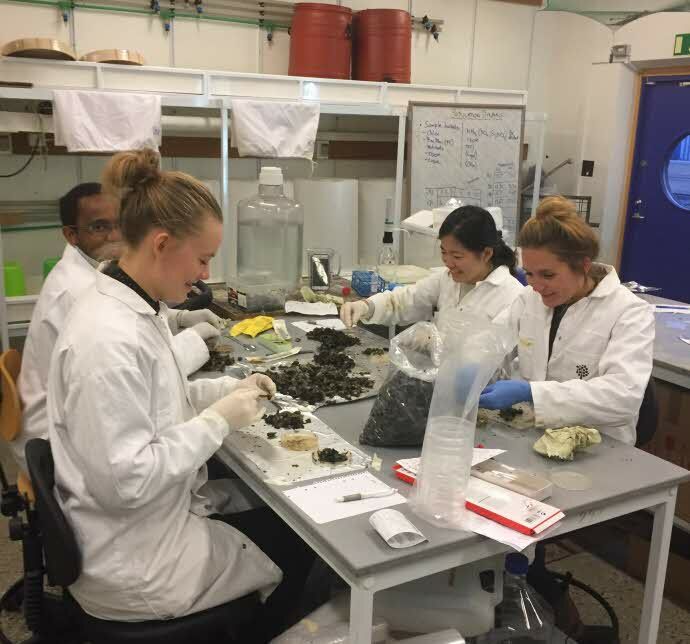 Once the mussels have had their fill of microalgae, they are "harvested," or collected from the sea, thus cleaning the water of excess nutrients. 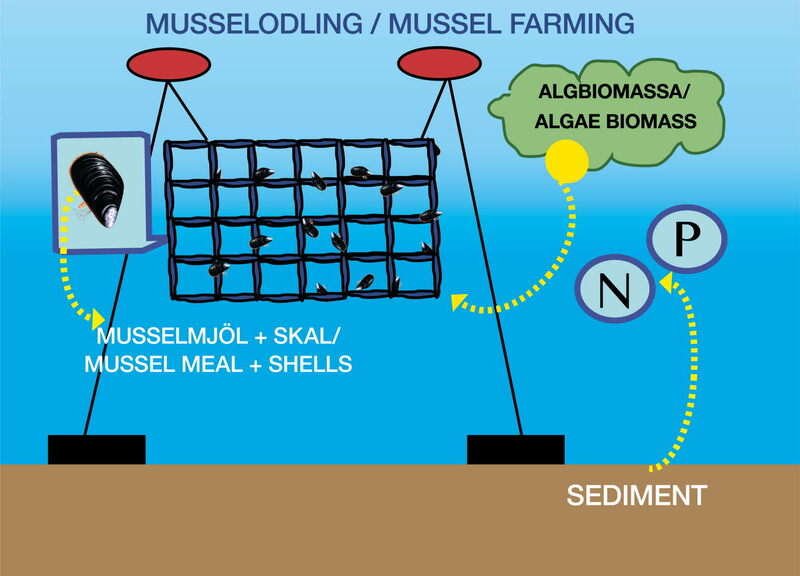 The biomass of algae-fed mussels can then be turned into useful resources, like animal feed. 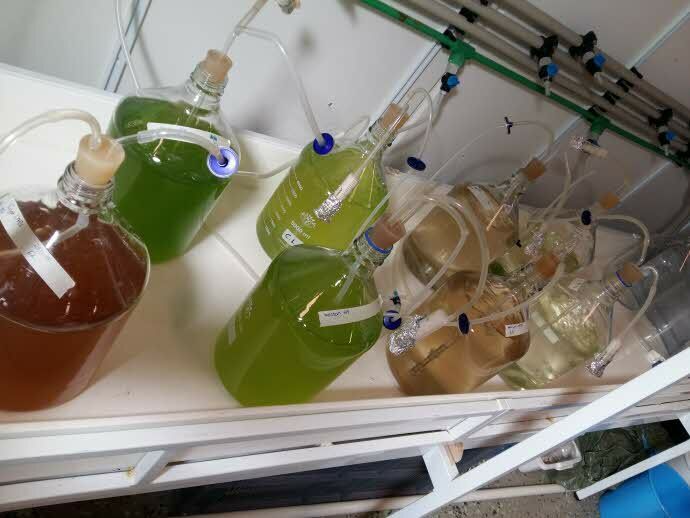 Algae, produced to recycle nutrient and carbon dioxide and blue mussels that restore our coastal waters are tested as feed for egg laying hens. 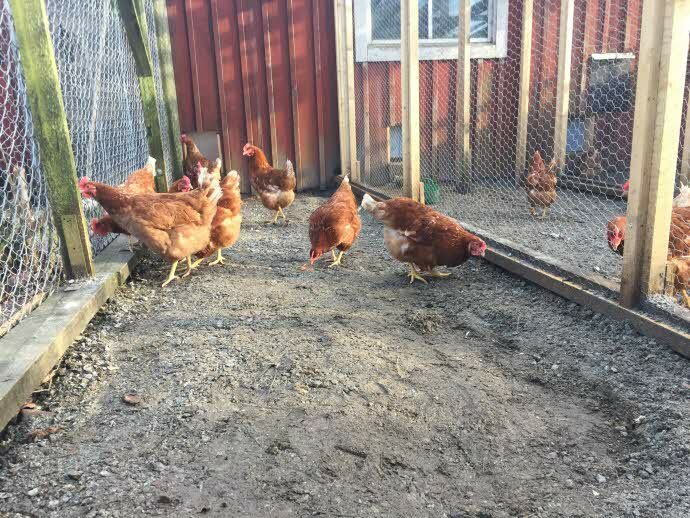 We are running feeding trials at Voxtorps gård, where mussel meal and algae are tested as protein source and mussel shells as a source of calcium in the hens' feed. 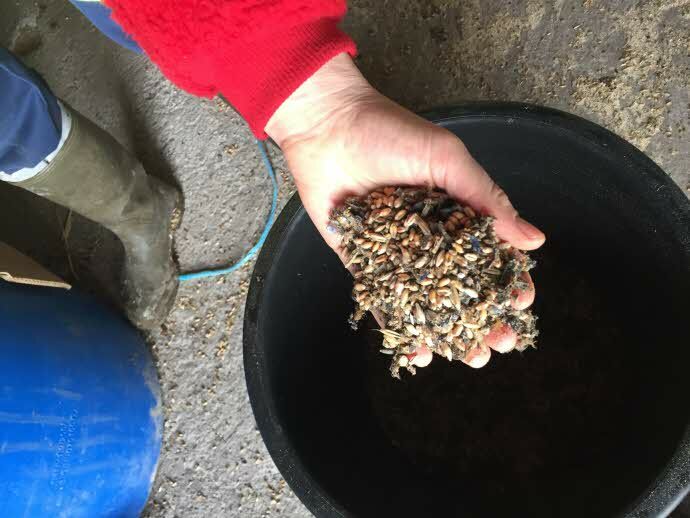 Safety and quality of the eggs are monitored to see if locally produced algae and blue mussels are the sustainable feed of the future. Since its inauguration, ALGOLAND and the people who run it have been recognized for achievements in sustainable development within the region. 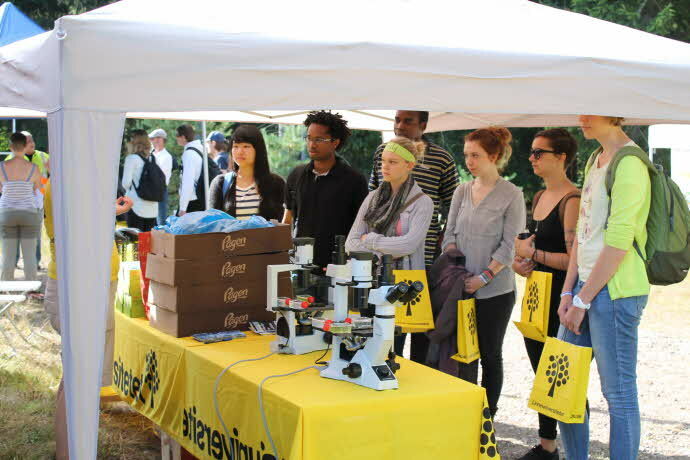 The Sweden Impact Award brings the spotlight to projects with societal driving force. 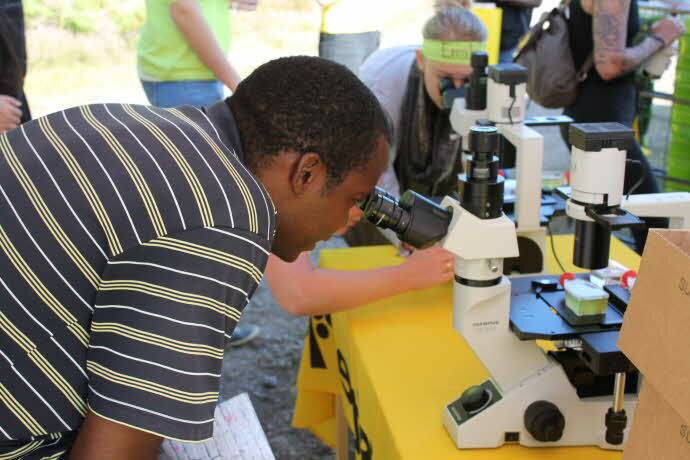 Projects are assessed based on how well they create positive synergistic effects with society. In 2017, Algoland won the SWI in the category of Medical and Life Sciences. 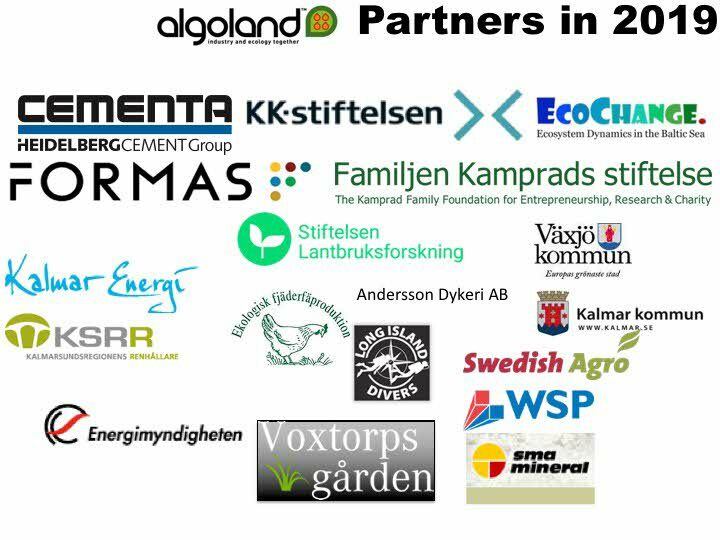 Each year, the Kalmar Climate Commission hands out an award to a company or organisation that has taken measures to inspire and generate innovation, jobs and activities within the field of climate and energy sustainability. Algoland and project leader Catherine Legrand was the 2016 recipient. 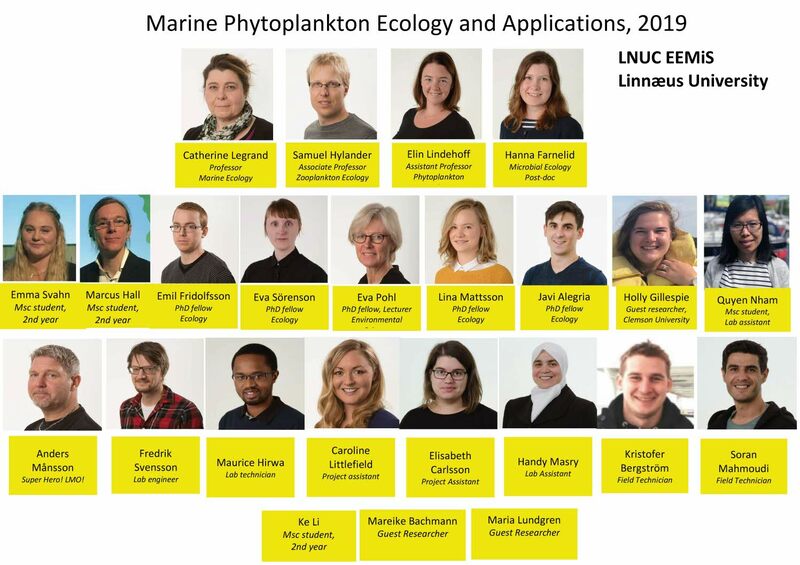 "Awarded to Elin Lindehoff for her work in spreading awareness about the condition of the Baltic Sea". 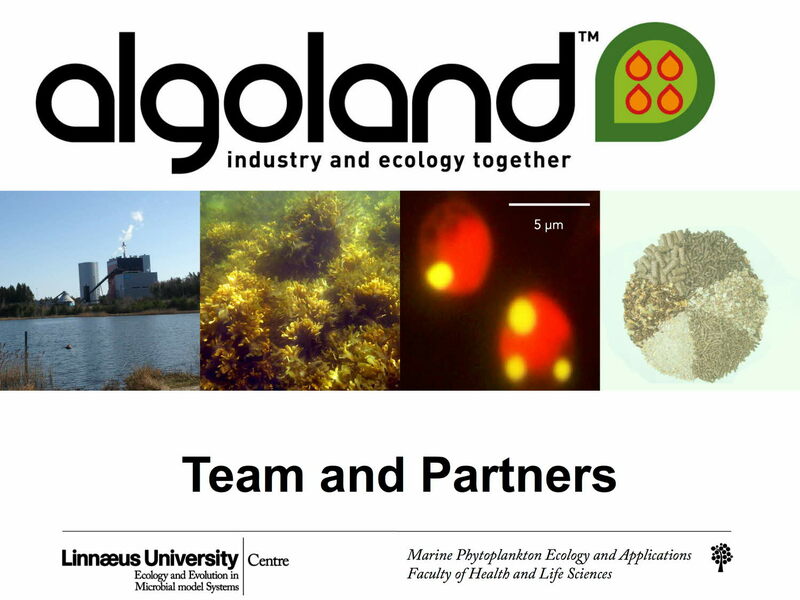 "The Algoland Project Team is awarded for excellence in researching the potential for microalgae to clean flue gas at the Cementa plant on Öland. 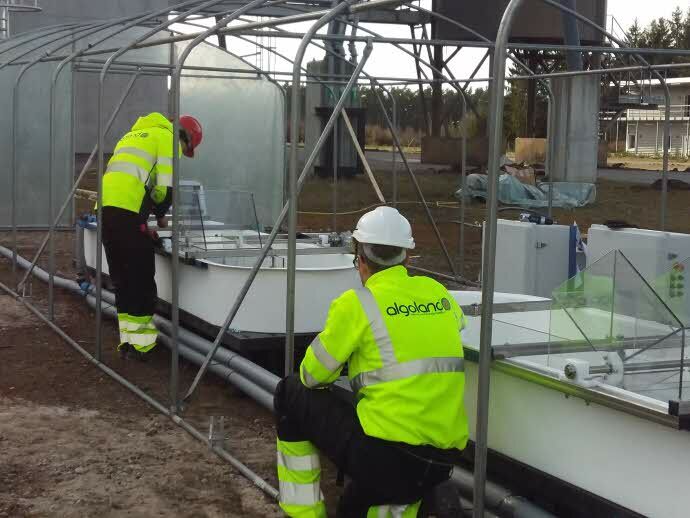 The project also focuses on recycling nutrients from sewage leachate water, and producing bioenergy for the southern Baltic Sea Region. Through the team's great engagement, the project has established an interest among the business sector, promising future development within the field."